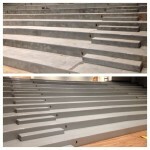 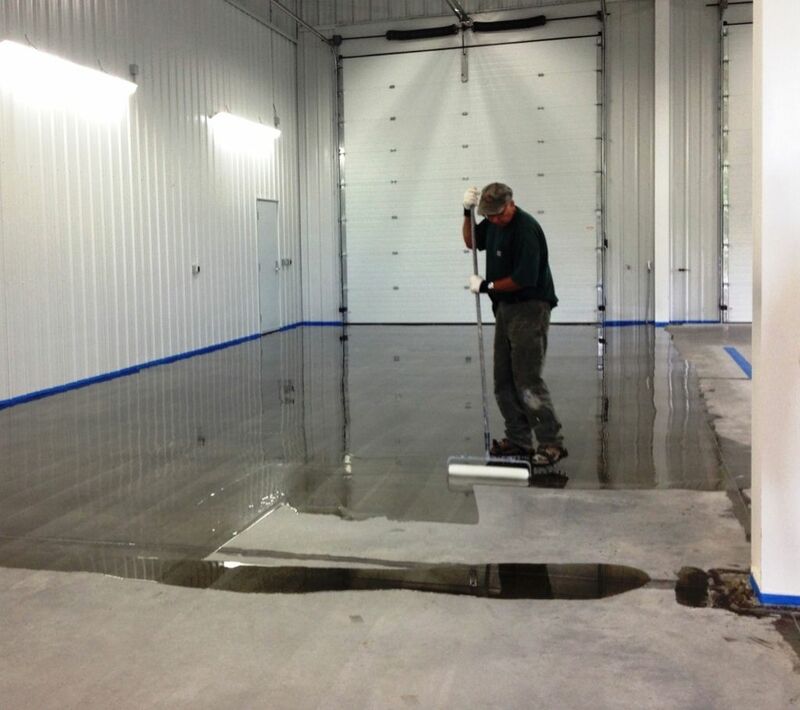 Floor preparation using one our Hilti hand-held dustless diamond grinders. 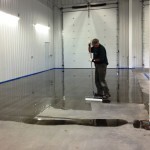 Application of the clear epoxy primer. 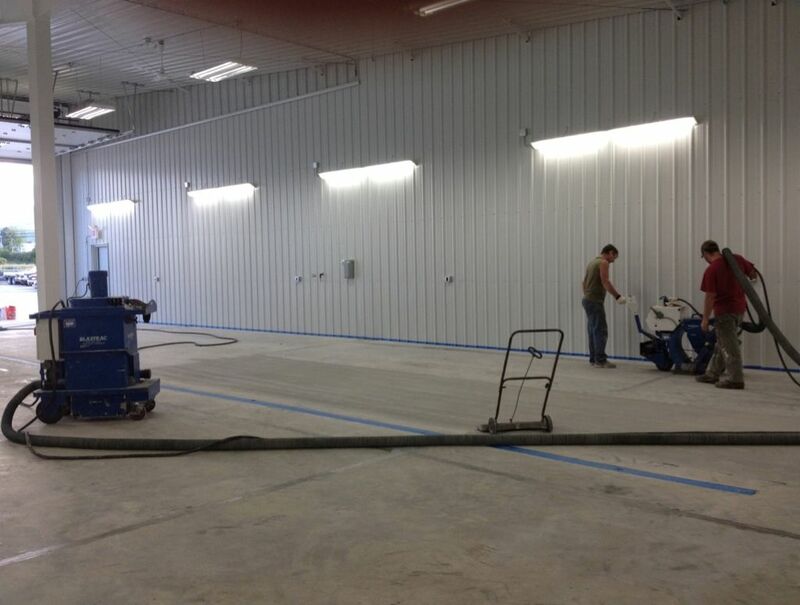 G. Stone Motors built a new auto detailing and maintenance shop in 2012. 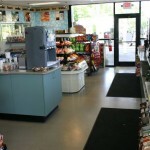 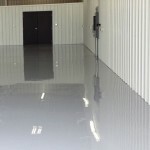 They were looking for a floor that was long lasting, good looking, and easy to keep clean. 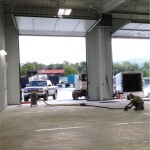 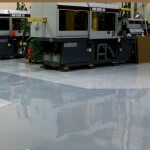 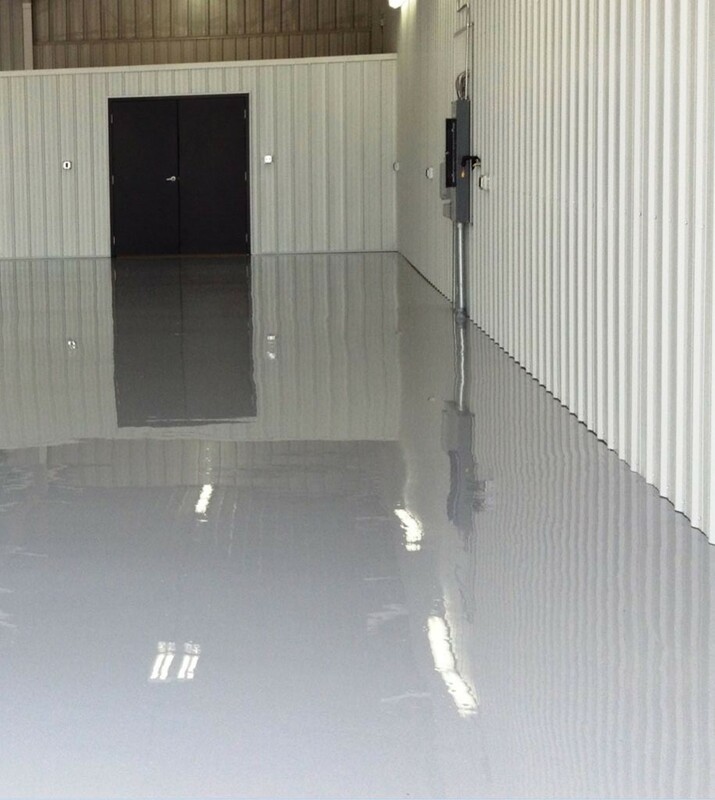 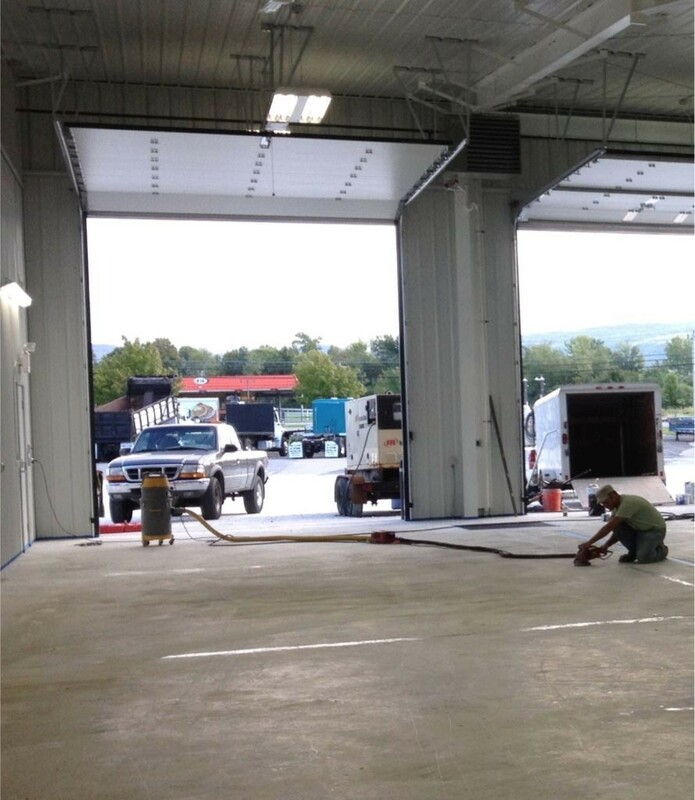 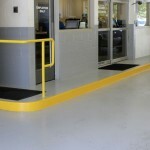 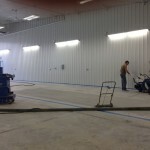 We installed a 16 mil, high gloss epoxy floor to meet their needs.